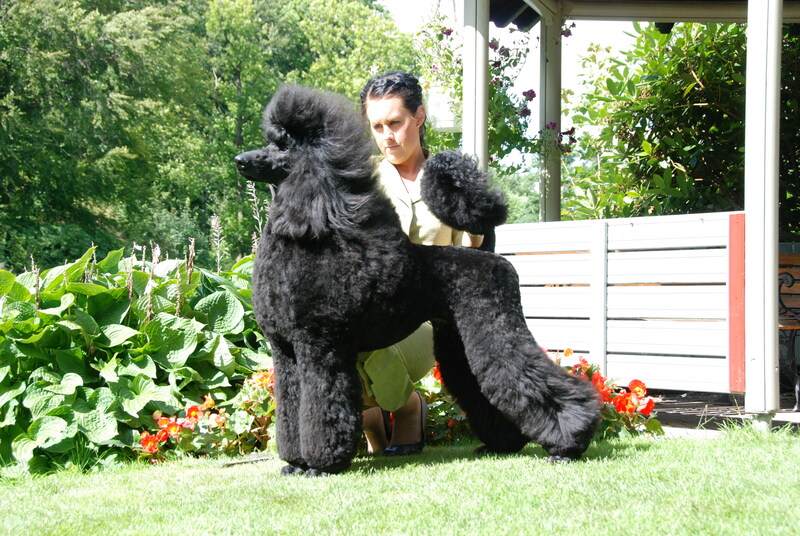 A photo of Lex at his last show in Ronneby were he got BOS! He already has 3 CAC:s and BOB and group placements. I know Camilla love this dog he is her “boyfriend” at the moment.